The papers were donated to the University Archives by the estate of Melvin Carl Molstad in 1987 (accession number 87: 21). The Melvin Carl Molstad Papers are organized into three series, Course Material, Research Notes, and Miscellaneous, which are arranged alphabetically or chronologically. Melvin Carl Molstad was born on November 18, 1898 in Spring Valley, Minnesota. He earned a B.A. from Carleton College in Northfield, Minnesota in 1920, a B.S. from the Massachusetts Institute of Technology in 1923 and a Ph.D. in Chemical Engineering from Yale University in 1930. Molstad’s career in chemical engineering encompassed positions in academia, government, and the private sector. He was a Chemical Engineer for the Fixed Nitrogen Research Library for the United States Department of Agriculture 1920-21 and 1923-26, and a Chemical Engineer for the Ammonia Department of the DuPont Company 1929-31. He was also an Instructor (1926-29) and Assistant Professor (1931-39) of Chemical Engineering at Yale University. 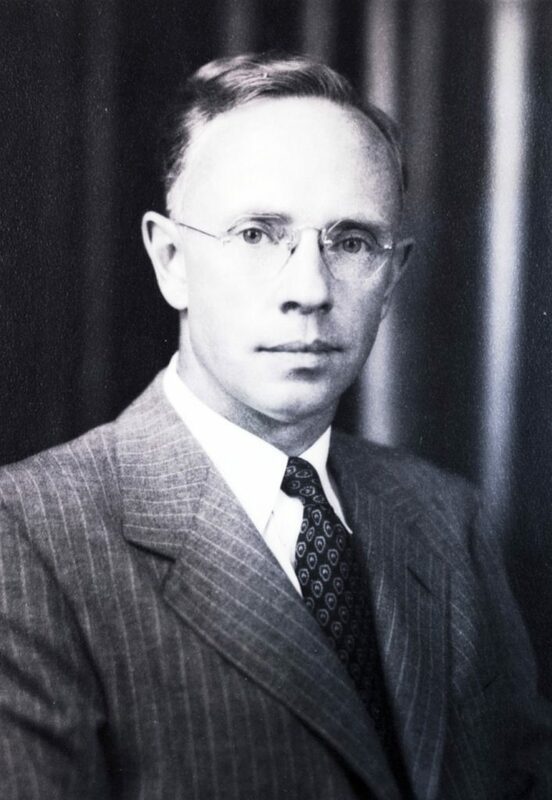 In 1939 Molstad joined the faculty of the University of Pennsylvania as an Associate Professor of Chemical Engineering. He was later promoted to Professor in 1942. He also served as the Director of the School of Chemical Engineering 1954-61. Three times in his career Molstad traveled abroad to teach as a Fulbright Lecturer, first at Norwegian Tech University in Trodheim, Norway during the 1954-55 academic year, at the University of Tokyo in Tokyo, Japan during the 1961-62 academic year (a position for which he resigned as Director of the School of Chemical Engineering), and finally, at the University of Helsinki in Helsinki, Finland for 1968-69. As an early proponent of the importance of computers in education, Morrow assisted the University in the design and development of a computer-oriented undergraduate curriculum in chemical engineering during the late 1960s and early 1970s. As a member of the faculty and administration, he earned a reputation for his great concern for the welfare of his students, and when he retired in 1969, past students presented him with a commemorative plate as a token of gratitude. The University also named him a Professor Emeritus of Chemical Engineering at this time. Melvin Carl Molstad died on May 12, 1985 in Moylan, Pennsylvania, aged 95. He was survived by a brother, Arnold Molstad (1902-1999) and a grand-daughter, Susan Harbinson (unknown).Melvin Carl Molstad was born on November 18, 1898 in Spring Valley, Minnesota. He earned a B.A. from Carleton College in Northfield, Minnesota in 1920, a B.S. from the Massachusetts Institute of Technology in 1923 and a Ph.D. in Chemical Engineering from Yale University in 1930. Melvin Carl Molstad died on May 12, 1985 in Moylan, Pennsylvania, aged 95. He was survived by a brother, Arnold Molstad (1902-1999) and a grand-daughter, Susan Harbinson. The Melvin Carl Molstad Papers mainly document Dr. Molstad’s research for an unpublished history of chemical engineering at the University of Pennsylvania. This research is mainly in the form of notes on sources, chronological lists of chemical engineering degrees awarded, and a few issues of a newsletter called The Penn Chemist. The remainder of the papers consist of course materials, published material, photographs, and a commemorative plate. Carleton College Alumni Questionnaire, n.d.
Photographs – Three Headshots of Molstad, n.d.